Today's post is a collaboration, and talks about the places you can visit to get away from the masses when travelling. Some of the most memorable and magical places to visit on holiday are often on a “road less travelled.” Particularly if you crave something “unique” or you want relaxation away from the crowds! Here are few ideas for little-known places to travel to for your next adventure. China is opening up as a holiday destination for adventurous travellers and there are some wondrous options. 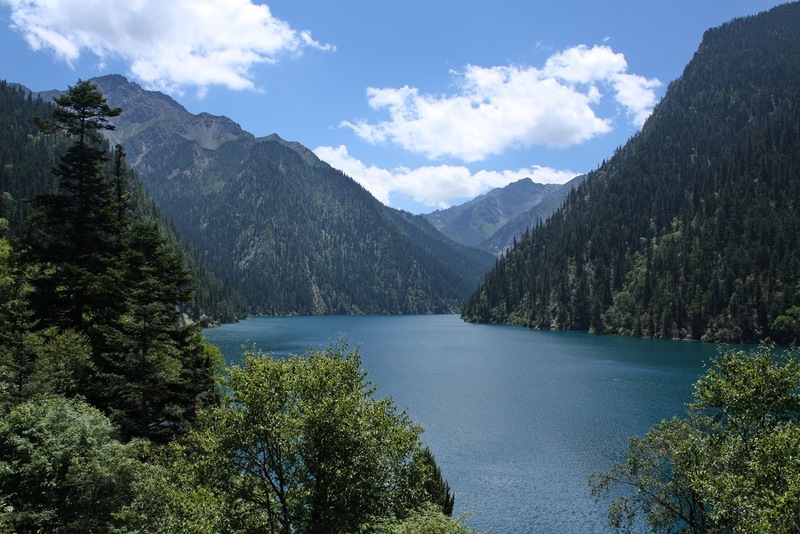 Take for instance the Jiuzhaigou National Park, 280 miles north of Chengdu. This World Heritage site is a breathtakingly beautiful “fairyland”, featuring crystal clear and vibrantly turquoise lakes and waterfalls. It’s surrounded by the Min Mountains and amazing Tibetan villages. It’s hard to imagine there are “well-kept secret” locations in Europe, but there are still great hidden gems for you to discover. For example, while everyone else heads to the best-known resorts in The Algarve, you could go to Lagoa and Silves. They have the same golden beaches and year-round sunshine and are equally soaked in fascinating culture and heritage. Lush green hills and orchards combine with colourful ancient architecture (including a red castle in Silves). For more ideas on this theme, consult respected writer The Secret Traveller, who offers tips on finding beautiful beaches you don’t have to share with anyone over on the 1Cover blog. If the crowds and high prices in Venice make that particular culture-rich and water-bound destination unappealing, book a break in Slovenia’s Piran instead. This is often called the Venice of Slovenia, due to its wonderful proximity to the stunning waters of the Adriatic coast. It’s far more laid back and quieter than places like Dubrovnik, but features incredible beaches, excellent facilities and countryside “groaning” with abundant local produce. The city is interesting too, and access to Lake Bled adds further appeal. One little known holiday destination that makes you feel “out of this world” is the Banaue Rice Terraces, around 200 miles north of Manila, on Luzon island in the Philippines. This adventurous alternative to a luxury beach resort puts you in well-equipped lodges enjoying the sort of sunrises and sunsets most people can only dream of. You will be up close to some of the most awe-inspiring scenery on the planet. Ask a Filipino about the terraces and they will tell you they are “the eighth wonder of the world”. How about really getting away from it all on your holiday? One of the little-known Scandinavian holiday destinations is the Urho Kekkonen National Park in Finland. It offers luxury lodge accommodation in the Arctic Circle, close to the border of Russia, Norway, and Sweden. From here, you can enjoy winter sports and exploring, including dogsledding, snowshoeing and snowmobiling as well as skiing. You can also experience the Aurora Borealis in the winter, and the summer’s Midnight Sun.